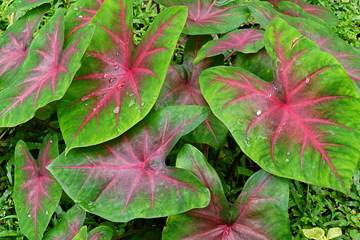 Caladiums are grown for their showy, colorful, long stalked, heart-shaped leaves. They are extremely easy to grow in moist well-drained soil. 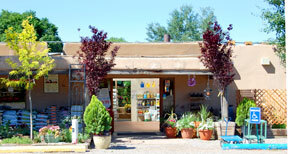 These shade-loving but sun-tolerant plants thrive in heat and do well in container plantings. Distinguishing Characteristics: Clumps of long-stalked, heart-shaped leaves grown in summer.